If so, you’re a dying breed. Last year, half of Americans ages 22–45 watched ZERO hours of cable TV. And 7.5 million households have cancelled their cable service in the past five years. Instead of cable, people are switching to services like Netflix that deliver shows over an internet connection. Today, more than half of American households subscribe to a “streaming” service such as Netflix or Hulu. 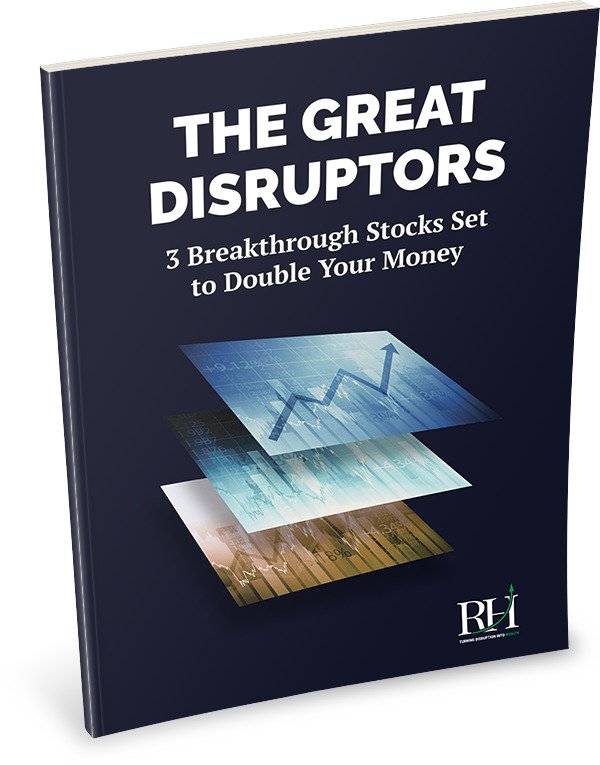 I’m going to tell you why this trend is FAR more disruptive than most people understand. Cord cutting isn’t just about switching from one way of watching TV to another. It’s about smashing the near-monopoly cable companies used to have on American programming. Comcast (CMCSA), for example, is one of the biggest cable companies in the U.S. From 1990–2018, its share price soared over 5,000%. For most of that time, it enjoyed the big profits that come from operating in an industry with few real competitors. The internet has totally blown up the cable business model. It took a long time; remember how frustrating it was to watch video in the early days of the internet? The blocky videos, the constant buffering. Today, the internet is fast and reliable enough to deliver high quality video almost everywhere. There’s really no good reason to pay $100/month for cable anymore when Netflix costs $15/month. In the last few months, investors have been dumping cable stocks. Since January, Comcast has plunged as much as 30%. Charter Communications (CHTR), another big cable company, has dropped 37%. And it’s all up for grabs right now. 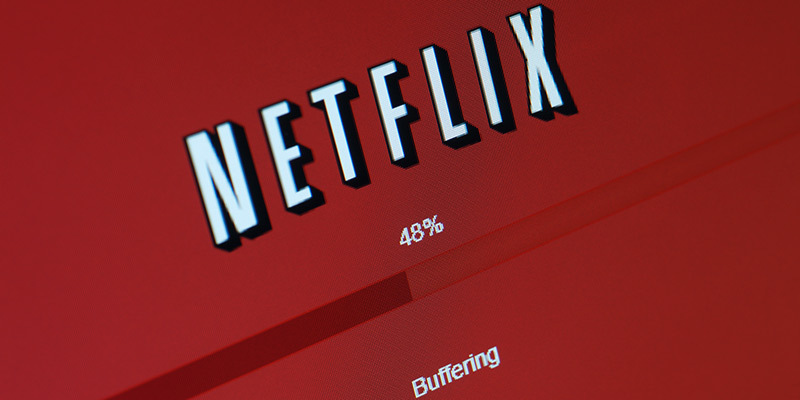 Most investors assume Netflix will claim the bulk of profits that cable leaves behind. So far, they’ve been right. Have you seen Netflix’s stock price? Holy cow. It has rocketed 10,000% since 2008, leaving even Amazon in the dust. Netflix’s accomplishments are impressive. Accumulating 125 million subscribers worldwide is an amazing achievement. But don’t let its past success fool you. Netflix is not the future of TV. It’s about to enter a battle with a powerful rival you know by name. And I’m convinced Netflix is going to get crushed. You see, Netflix has achieved its incredible growth by wrangling distribution away from cable companies. Instead of watching The Office on cable, people now watch The Office on Netflix. I don’t believe this edge is sustainable. In a world where you can watch practically anything whenever you want, dominance in distribution is extremely fragile. Just ask cable company management. Because the internet has opened up a whole world of choice, featuring great content is now far more important than distribution. Netflix management knows this. They will spend $8 billion developing original shows this year. That’s more than any other “streamer.” And more than many traditional media firms such as Viacom and Time Warner. To fund its new shows, Netflix is borrowing huge sums of debt. It currently owes creditors $6.5 billion, which is 93% more than it owed this time last year. But the fact is, only one of the top 10 most-watched series in America last year was produced by Netflix. Does that sound like a stock that should be trading for 262 times earnings? And it will pull all its content off of Netflix. Disney is the undisputed king of content. It owns Marvel… Pixar Animations… Star Wars… ESPN… ABC. In six of the past seven years, Disney has produced the world’s top-selling movie. Disney owns four of the top six movies this year. And it looks like it’s going to acquire 21st Century Fox’s movie assets, too, which include the rights to Deadpool. For example, the only place your children or grandchildren will be able to see Toy Story 4 and Frozen 2 may be on the “Disney-flix” app. Can you imagine how many parents will sign up for this? Disney has demonstrated an incredible ability to produce movies and shows people want to watch. No competitor comes within 1,000 miles of Disney’s world of content. Disney’s ownership of iconic franchises like Star Wars and Spider-Man give it something Netflix couldn’t buy even if it had $100 billion to spend on content. While Netflix is spending billions of dollars to “try out” new shows… DIS already has the best of the best in its arsenal. This is why I think Netflix has no chance against Disney long-term. For example, theaters showing DIS films keep about 40% of the ticket price. Cable companies take a similar cut. By streaming content directly to the consumer, DIS will cut out the middleman for the first time ever. Which will boost its profits and should push the stock higher. At a price/earnings (P/E) ratio of just 14, I think it is absurdly underpriced. The S&P 500’s P/E is 25. It’s hard to find any “cheap” US stocks these days. And even harder to find a stock that’s cheaper than it was five years ago. DIS ticks both boxes. Compare that to Netflix which, as I said, has a P/E of 262. Investors are pricing Netflix to perfection… while pricing DIS like a company with a dim future. I’m convinced the market has this completely wrong. I think DIS will crush Netflix to become the #1 streaming service within a few years. I expect DIS stock to climb much higher. Which is why I’m personally buying it at $104 today. This is a long-term holding for me. What do you think? Does Disney have what it takes to beat Netflix? Let me know at riskhedgereport@riskhedge.com.